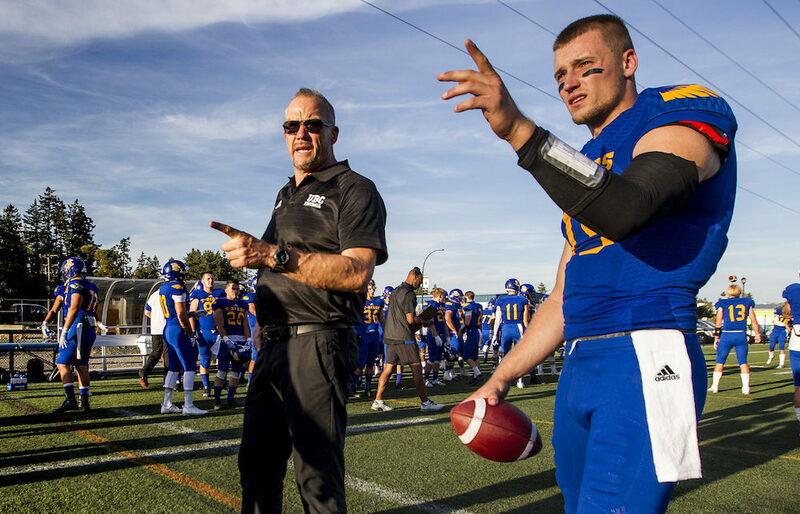 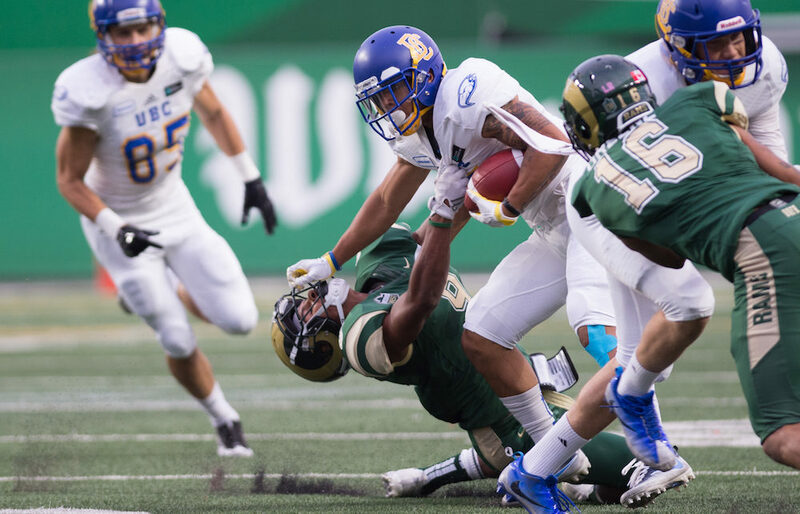 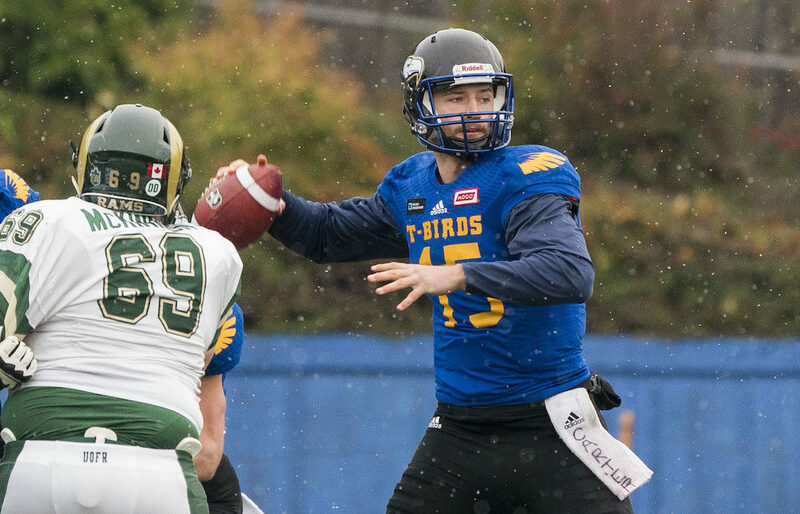 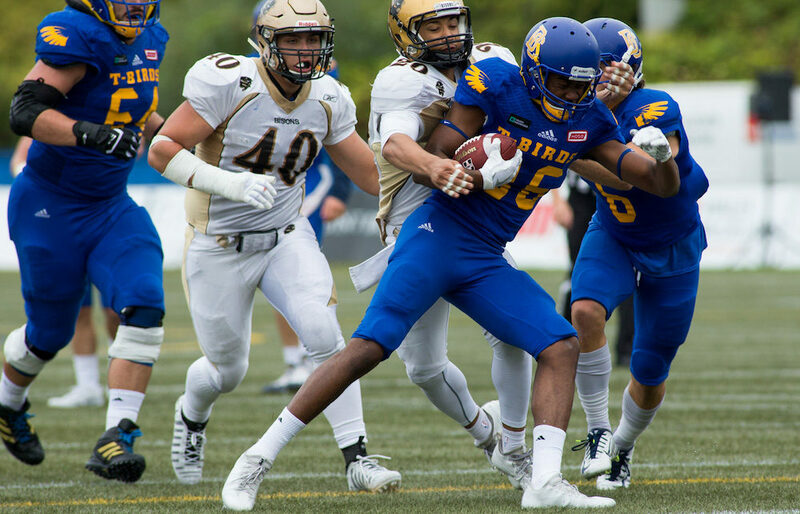 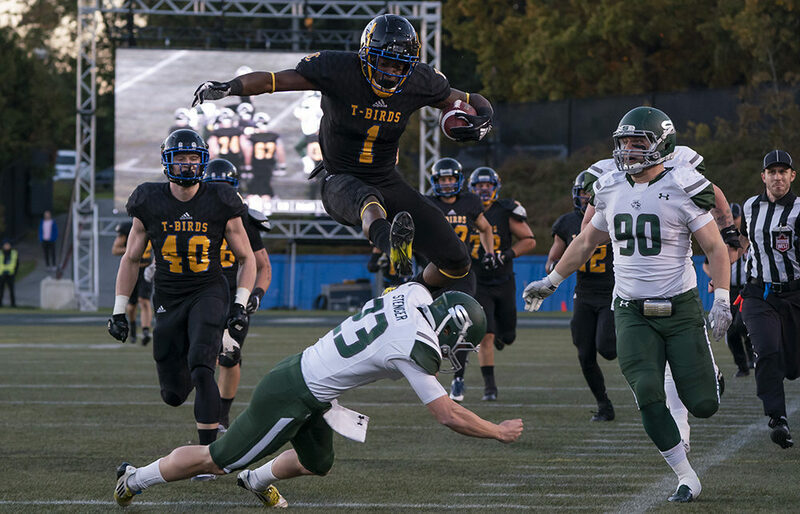 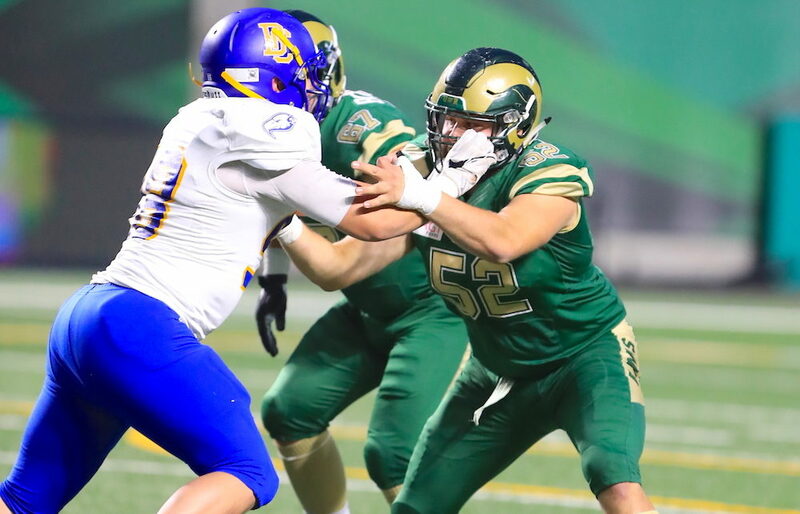 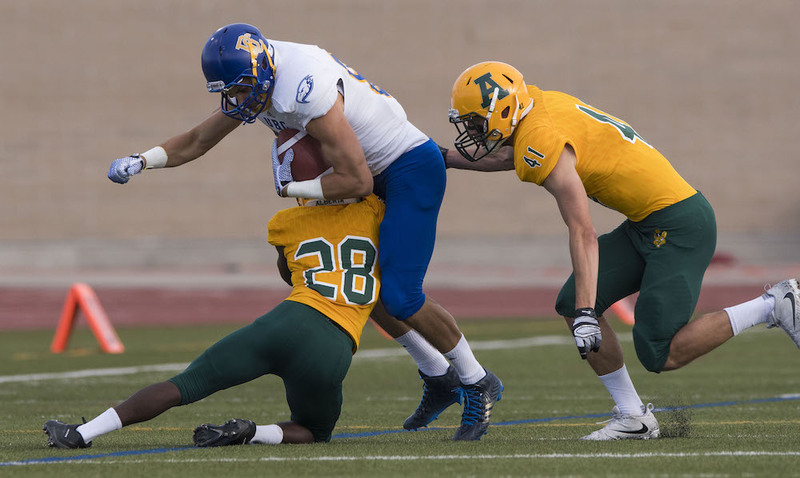 VANCOUVER — Over the four seasons in which they have turned home games on the Point Grey campus into appointment viewing, the UBC Thunderbirds football team’s national success has introduced a wave of star players to the growing fan base of the blue-and-gold. 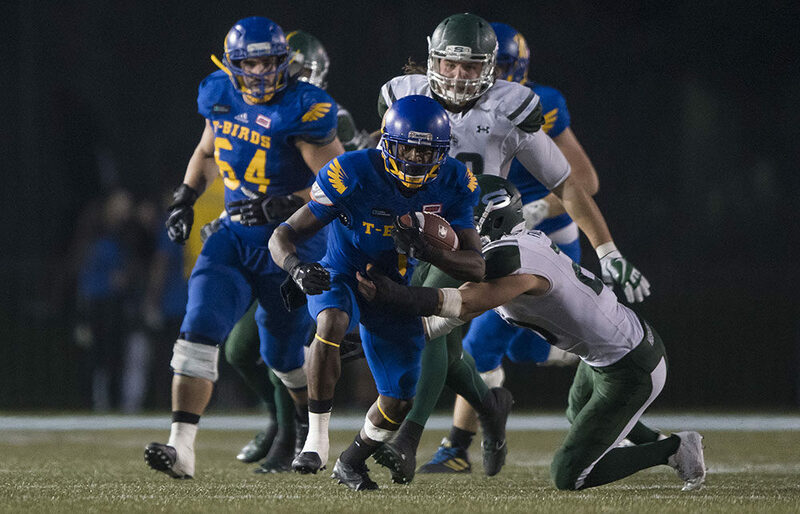 As a performance, it was hardly an oil painting. 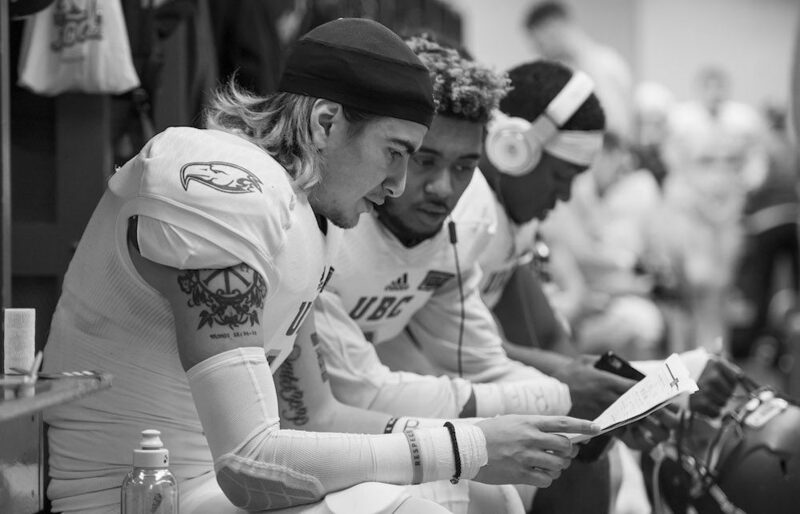 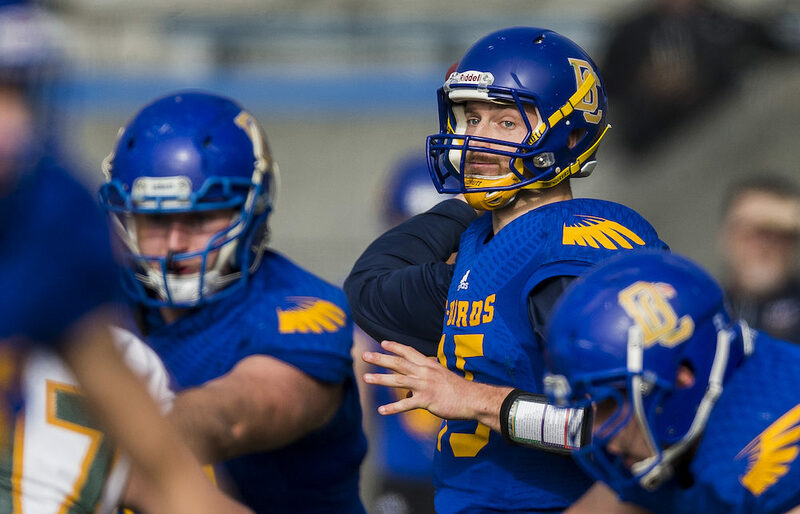 Yet you would be mistaken to think that UBC quarterback Michael O’Connor’s three interceptions on Saturday night in any way sullied the final result of the ‘Birds near-total collapse in the heart of the Canada West playoff chase.